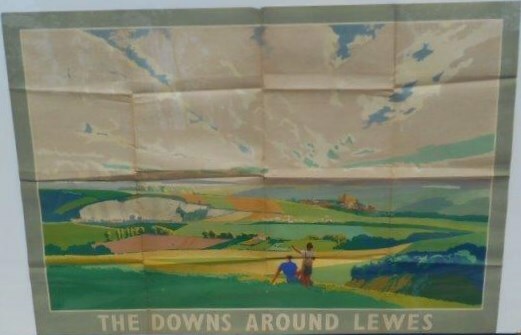 Lot 128 Q/R Poster 1930s, Southern Railway "The Downs Around Lewes" by Percy Padden. The sweeping expanse of the South Downs. Good folded condition with a little wear.